Posted March 27th, 2018 by Aidan & filed under Contract Lift, Crane Hire. Due to an increase in demand, we have several new mobile cranes on order due to be delivered shortly. This means we require more crane operators as to meet demand. We are looking for an experienced crane operator with a Blue CPCS Card with A60 Mobile Crane in Peterborough. For our vacancies in Chelmsford and Ipswich we are looking for CPCS Red or Blue card holders with A60 Mobile Crane operator on their card. For the right person available in Ipswich or Chelmsford with an HGV Category C licence we would consider taking on and providing full training to become a mobile crane operator. You would be joining a large but close team serving customers on CPA hires as well as contract lift teams. Each day is a new challenge with a varied and exciting mix of work across many different sites throughout East Anglia and beyond. 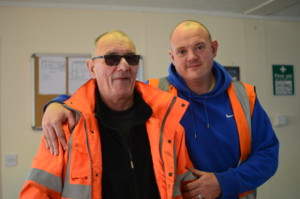 Our customers expect a safe, professional and efficient lift every time, and we support all of our staff through internal training programmes aligned with nationally recognised accredited training and testing schemes. You would be tasked with keeping their machines in good condition in line with regulations and best practice. A mobile crane will be assigned as your own to maintain, travel to and work on sites each day. As you progress you will be given the opportunity to move onto larger machines. You may wish to cross-train to a crane supervisor, slinger signaller or appointed persons role. 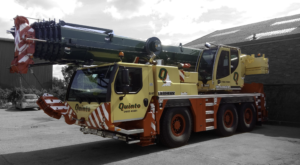 For those receiving CPCS Mobile Crane Operator training in house, you will be supported on Quinto Contract Lifts at the start of your career. Once you have developed your skills, knowledge and confidence you will be sent out on CPA Hires. This will involve working under instruction from our customers following their lift plan and RAMS. Click here to find out more and for details of how to apply.